Get your fluffernutter on Sunday, Oct. 8, 2017. Every dog has its day, they say, and apparently so does every cause, effect and plain old thing. Welcome to Monday Oct. 8, 2018. It’s National Fluffernutter Day. Correct, National Fluffernutter Day is observed annually on Oct. 8, according to the National Day Calendar. This is a day set aside each year to make, and enjoy, the savory sandwich consisting of peanut butter and marshmallow fluff. Fluffernutter dates to World War I. In 1913, during the war, Emma and Amory Curtis of Melrose, Massachusetts “invented” Snowflake Marshmallow Creme and published a recipe for a peanut butter and marshmallow creme sandwich, which is the earliest known example of a Fluffernutter. A sweet marshmallow-like spread, that he called “Marshmallow Cream” was invented four years later by Archibald Query in Somerville, Massachusetts. Archibald Query sold his recipe for “Marshmallow Creme” to Durkee-Mower, Inc. who renamed it Marshmallow Fluff and continues to sell it under that name today. 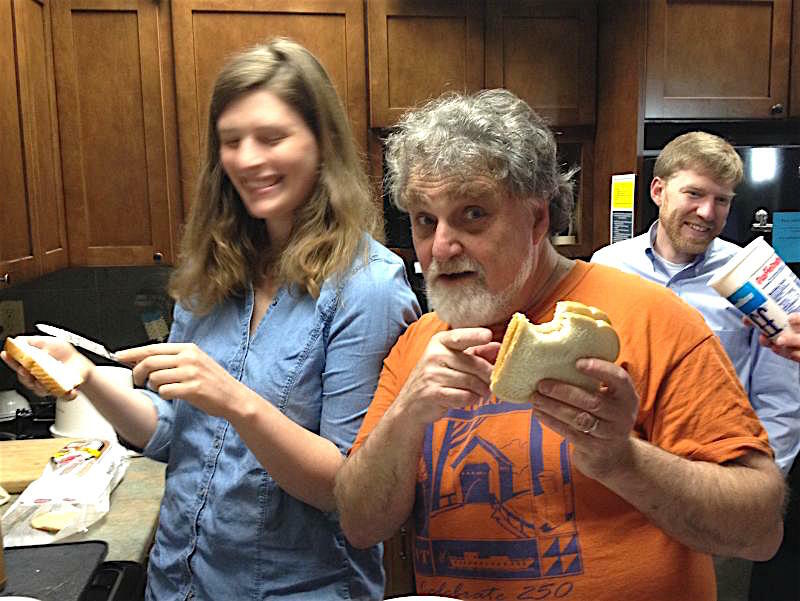 Celebrating fluffernutter sandwiches at Vermont Public Radio. The term Fluffernutter was created in 1960 by an advertising agency for Durkee-Mower in an attempt to market the peanut butter and marshmallow sandwich. Observing the day should be easy for those who will. After making a fluffernutter sandwich, observants are invited to post photos online with the hashtag #nationalfluffernutterday. Fair enough, but there’s more, several more national observances set for this historic day. 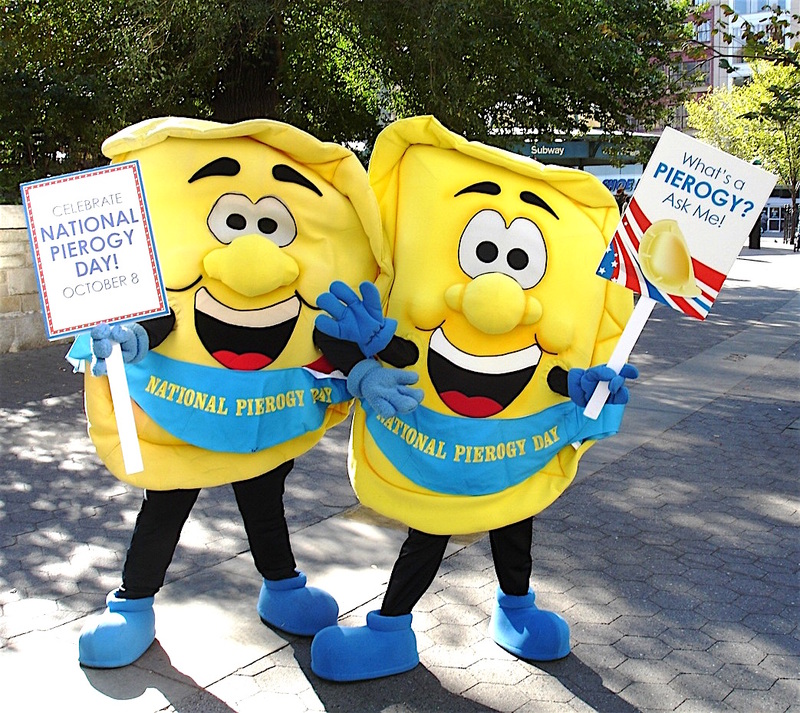 How about National Pierogi Day? American Touch Tag Day? National Swap Day? Yes, yes, yes. And even National Motorcycle Ride Day. Pierogi is the plural form of the rarely used Polish word pierog, according to the National Day Calendar, and may be found spelled a number of ways including perogi and peirogy. All besides the point. For those who have been to, say Pittsburgh, most notably, Pierogi are dumplings made with unleavened dough that are boiled then baked or fried n butter. Traditionally, the semicircular dumplings are stuffed with the likes of a mashed potato filling, potato and cheese, potato and onion, cheese, cabbage, sauerkraut, ground meat, mushroom, spinach or fruit. Celebrating dumplings stuffed with fillings and dreams. “Pierogi are often served with melted butter, sour cream, fried bacon crumbles, sautéed mushrooms and onions and/or green onion. The dessert variety, those filled with a fruit filling, can be enjoyed topped with apple sauce, maple syrup, chocolate sauce and/or whipped cream,” according to the National Day Calendar. Abroad in the lands where the first pierogi were cooked, it’s a main dish. Brought over by Eastern European immigrants, it’s served mainly as a side dish in the good ole’ U.S.A.
Now, on to American Touch Tag Day. You’re it. This day celebrates a traditional game that is remembered by most of us from our childhood as we spent our time playing outside at recess, after school and on weekends. It can be celebrated by getting out in the fresh air, running around and tagging someone. 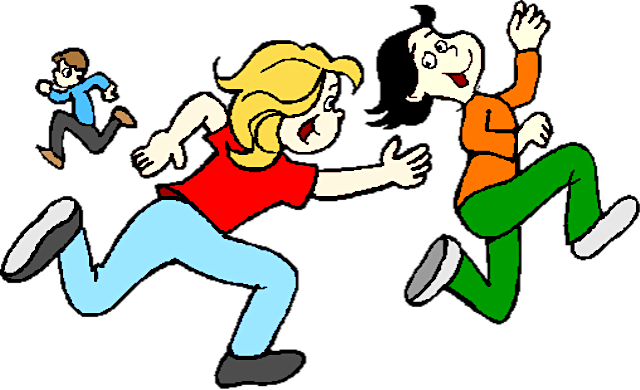 The simple child’s game of Tag dates to ancient Rome, according to the National Day people. Typically, it involves a player running around, chasing other players, in an attempt to “tag” or touch them. Most forms of this game have no teams, scores, or equipment. How about National Costume Swap Day, traditionally celebrated on the second Saturday in October. Green Halloween & EcoMom Alliance launched National Costume Swap Day in 2010. National Costume Swap Day is just sort of there with not much promotion although people are urged to swap old Halloween costumes with each other rather than get new ones as a kind of conservation thing. With all this Tag, costume swapping, pierogi stuffing and, lest we forget, fluffernutter sandwiches, don’t forget National Motorcycle Ride Day. National Motorcycle Ride Day was submitted in August, 2015 by Chad Geer of Dunlop Tire N.A. The Registrar at National Day Calendar declared National Motorcycle Ride Day to be celebrated annually on the second Saturday in October. It even has a media contact, just email info@nationalmotorcycleday. Take a ride on the wild side Oct. 8. The month of October is significant not only because this is toward the end of the riding season for a lot of motorcyclists in the USA, but it is also the month that John B. Dunlop developed the first practical pneumatic tire in 1887. Without this development in tire technology motorcycles would not perform as they do or be as enjoyable as they are today. That being said, this day is also dedicated to John B. Dunlop and his invention of the first practical pneumatic tire. “Use this day to escape on your motorcycle, have some fun, relieve some stress and really enjoy the thrills and freedom that riding a motorcycle offers. 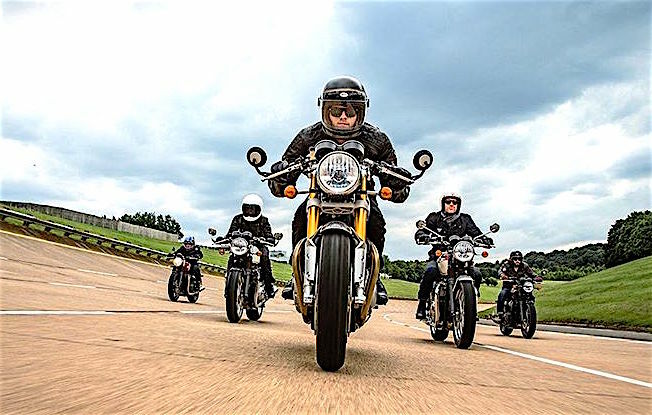 This is a day for riders of all motorcycle disciplines,” the National Day Calendar said. National Dan Weisman Birth Day is Oct. 8 as well. That’s me. Sorta. 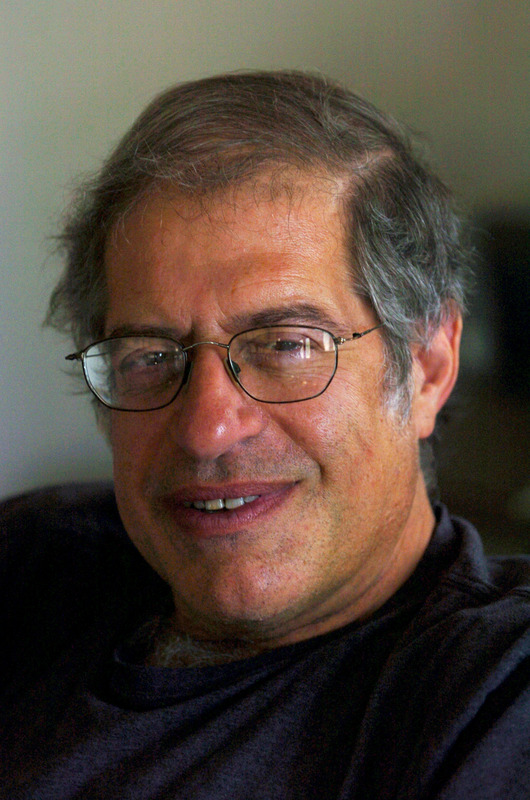 Oct. 8 hosts another national celebration not listed in the calendar, but important to me, Dan Weisman, personally. It’s my birthday. Happy Birthday to me. I suggest celebrating by sending whatever you can to Escondidograpevine@gmail.com and like the Trump Foundation, I’ll take care of the rest of the giving. Of course, the cavalcade of time never stops. Oct. 8 will come and go as it does inevitably year by friggin’ year, believe me. The sun will come up tomorrow, Annie fans. And when it does, it’s time for Tuesday, Oct. 9, chock full of new national celebrations. Say hello to Oct. 9 and with it, National Leif Erikson Day, National Pro-Life Cupcake Day — Don’t ask —National Chess Day, Clergy Appreciation Day, and of course, the venerable National Moldy Cheese Day. However, that’s a tale for another day. First things first. It’s Monday, Oct. 8. Do you know where your fluffernutter sandwich is? Be the first to comment on "It’s National Fluffernutter Day. Hooray?"